Home | Llandre Tourist Information and pictures of Llandre, Ceredigion, Wales. Llandre, or Llanfihangel Genau'r Glyn, is a village in Ceredigion, Wales. It lies five miles north of Aberystwyth, on the B4353 road from Rhydypennau to Borth. To the west of the village stands the remains of Castell Gwallter, a motte-and-bailey castle built by the Normans in around 1110 AD. Caer Pwll-glas, an Iron Age hill fort, stood on the hill to the east of the village. The Rhyd y Pennau Inn on the outskirts of the village offers good food and drinks. Llandre parish church, St Michaels Church, or as it is also known the church of Llanfihangel Genau'r Glyn, stands on the hillside above the village. The graveyard boasts both a 2000 year old yew tree, one of the oldest in Wales, and an historic lychgate. The present church is of 1885, replacing a medieval predecessor, and the stained glass windows are a particular feature of the church. The church surrounds have been developed with signboards and walks. A holy well near the gate has been restored, and a seat provided. A recent improvement scheme at the church includes ground and first floor exhibition/meeting/worship spaces, an accessible wc, and tea-making facilities for church and community use. The church is open daily to visitors, with a semi-permanent display on Llandre Heritage in the new ground floor space. Other historical items of interest within the village include the old village grammar school; a slate mine tramway and a disused railway station. Llandre station, formerly Llanfihangel, was opened on 23 June 1864 on the Cambrian Coast Line between Machynlleth and Aberystwyth. It closed on 14 June 1965. 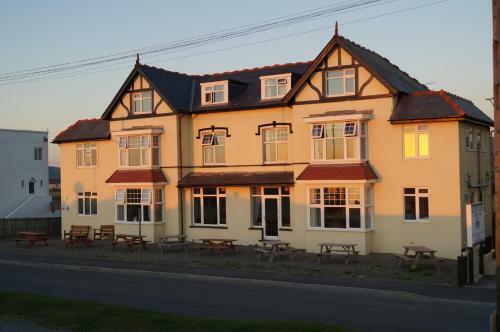 There are several walks and rights of way criss-crossing the landscape in Llandre, and it is just a two mile ramble to the coast at Upper Borth from where you can join the wonderful All Wales Coastal Path. Llandre itself is set in the middle of beautiful countryside and is an ideal starting point for a number of short walks around the area. A guide map describing some of the walks and attractions in and around the village is available from the local website (www.llandre.org.uk), local tourist information offices or by post. (please enclose stamped, self-addressed envelope) Llandre Heritage, c/o Sycamores, Llandre, Aberystwyth SY24 5QX.). The walks include the historic churchyard and ancient Yew tree, Castell Gwallter and the banks of the Afon Leri. 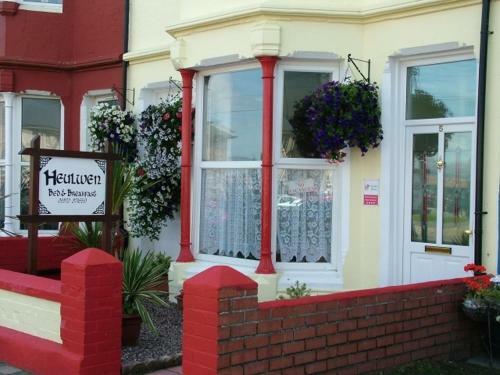 You may make an instant secure hotel or cottage reservation close to Llandre. Hotel and cottage availability and letting rates are confirmed online prior to booking. Simply click through to the accommodation page, choose a suitable property, check availability, including dates of stay, to confirm the exact room rate and reserve the accommodation.